Was he a Kohen ? 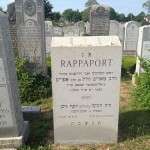 Very intresting, was there a reason why the family carried the name Rappaport, such as were the married into the Cohanim Rappaort Family, etc.? Any othher bio infor would be intresting, was he a Maggid-Preacher in the Lithuanian city of Biyalstok or in a comunity here in the US with that name? In the Degel Yisroel journal (v2.4 Nisan/Iyar 5688 / April 1928 – p.6 in the article titled “Rabbinishe Nayes” – viewable at http://www.hebrewbooks.org/13154) it says that the Bialystoker shtot maggid, R.M.H. 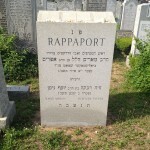 Rappaport, recently came to the USA with his family after being the town maggid of Bialystok for 14 years. There are a few images of Rav Rappaport in a yizkor book on Bialystok that was published in 1951. The book can be viewed at http://yizkor.nypl.org/index.php?id=2976. See images 85, 261 and 281 which will direct you to pages 79, 255 and 275 of the book. According to http://pages.cthome.net/hirsch/bhh.htm, he became a rav in New Haven, CT in 1930. 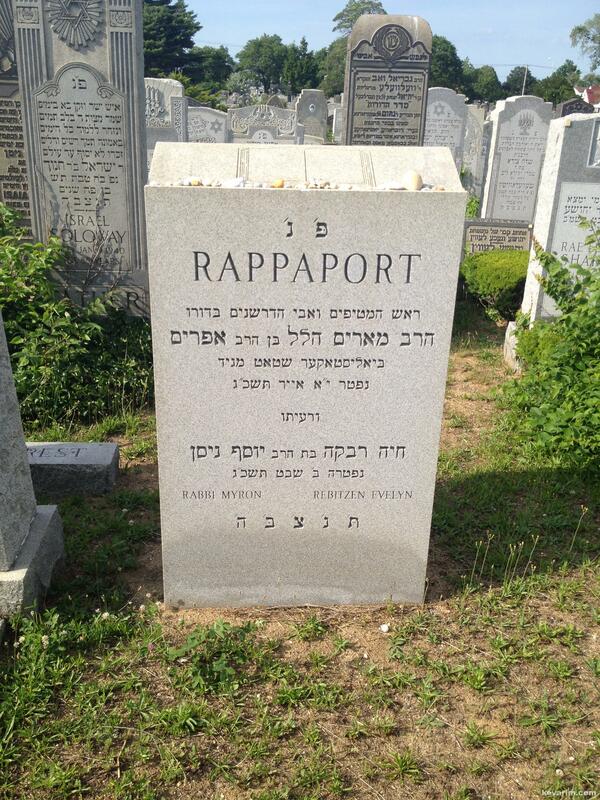 Ner l’Yisroel is a biography of the Bialystoker magid’s nephew, Yisroel Dov Rappaport. Both Yisroel Dov and his father Yaakov Tuvia were staunch Slonimer chassidim. R. Yaakov Tuvia was at one point the head shochet in Minsk and was an expert on hilchos shechita and treifos. Interestingly enough, the Bialystoker magid’s son, Rav H.Z. 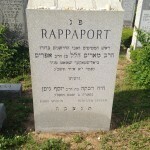 Rappaport was a rav in Kingston, NY and authored a sefer on hilchos treifos (as can be seen at http://www.hebrewbooks.org/4141). The sefer is called Ohr l’Yoreh Deah. “Ohr” is after his recently deceased father Myrim (a Yiddish nickname for Meir). Also interesting is the mention in the hakdama there that says his father was niftar on 4 Iyar, while the matzeiva above says says 11 Iyar. http://www.neveh.org/price/pricetrs.html – where R. Schwadron is quoted in “Around the Maggid’s Table” where he cites a story from the Bialystoker maggid. who were maspid my great-grandfather, R. Yaakov Eskolsky at his levaya as I mentioned earlier. Hi – I came across this site when doing a genealogic search. 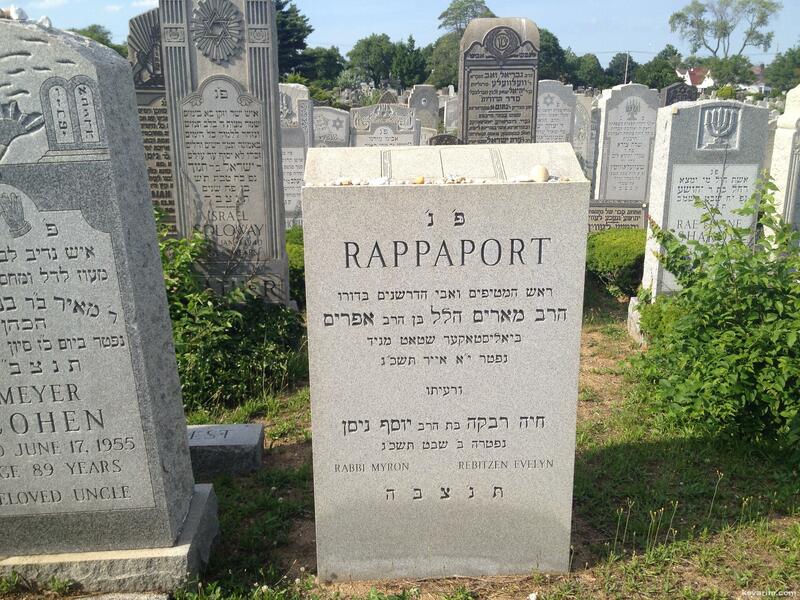 Some of my Rappaport ancestors are mentioned here; my father’s paternal grandfather was the Pinchas Rappaport mentioned here (for what it’s worth, I have his brother’s name as Alter Marem Hillel). Could you tell me more about what “shtot maggid” means, and perhaps some of the other terms (I’m from the secular branch of that family). but that is far off of the definition. A few notes. Could kever name be Morris, with the engraver confused by samekh/final mem. Regardless, Meir and fem. Mir’l are very common among Slonimer and Slonimer-Bialystocker. Also, the name Katz/Kass/Kassovsky by Leviim – possibly analogous to this use of Rappaport. My GGGF, the rav of the Slonimer q’hil’e in Bialystock, was a “Kassovsky” – and a Layvy. Some of his children came to the US before 1900. Kol tov. 1) No mistake on kever. Back then מארים was a fairly common nickname for מאיר. We have that name in my own family. Thanks Moshe for the speech link, it is great! where the שער of ספר מחזה עינים has a stamp of its owner Rav Rappaport. So this is another piece of evidence that the rav’s given name was Marim Hillel and that his nickname was Alter. 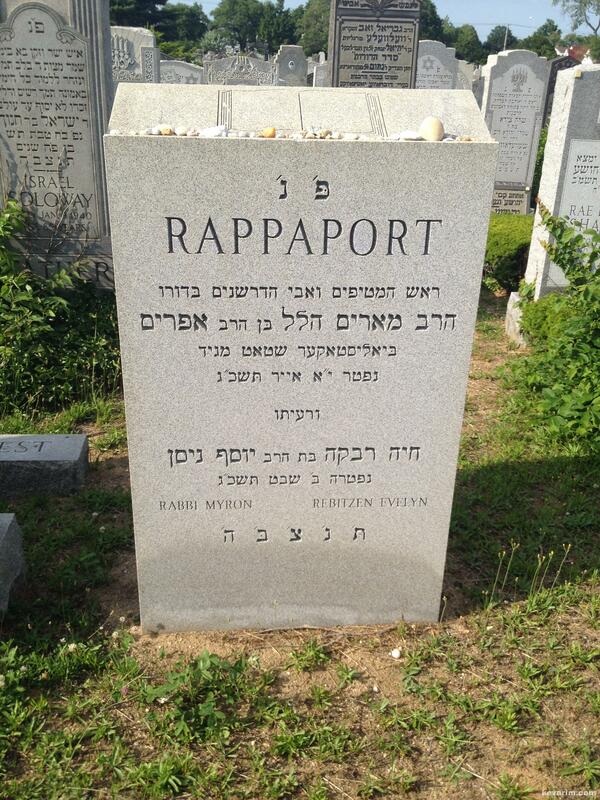 My fathers Paternal grandfather was R’Yaakov Tuvia Rapoport, brother to , Pinchas, Eliyahu and Alter M Hllel Rapoport. I wouyld like to speak to you. If you look closely, they are actually two different photos of the same scene and with two different numbering systems of the same style of letters. The black & white photo is just about as sharp as the sepia tone photo but is more cropped on the sides and has less of the original photo. It looks like B&W was published in the Kletzk yizkor book and the sepia tone was published somewhere else.